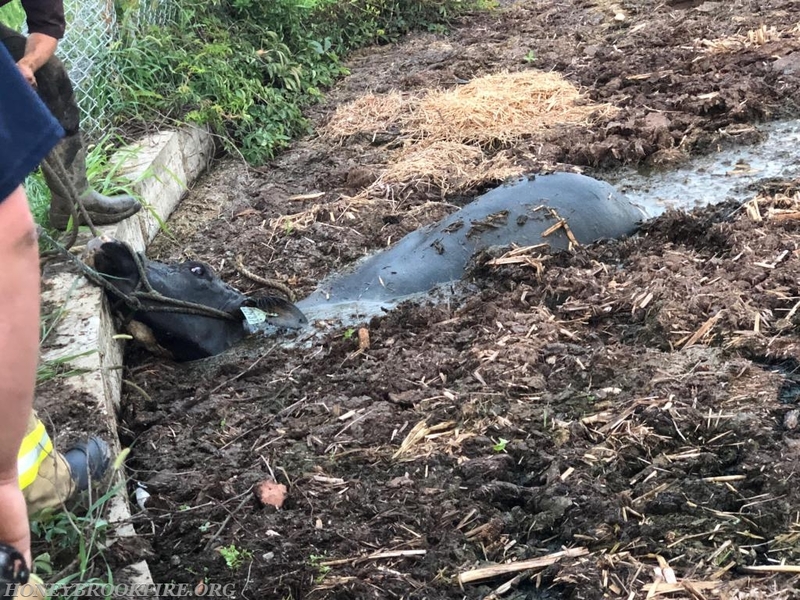 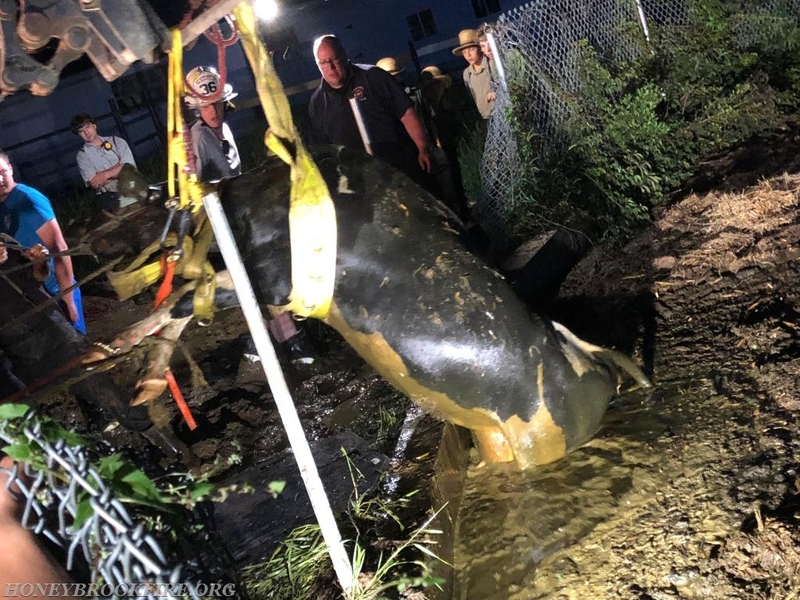 Just before 1930 on August 14th station 33 was alerted for an Agricultural Rescue in Honey Brook Township for a cow stuck in a manure pit. 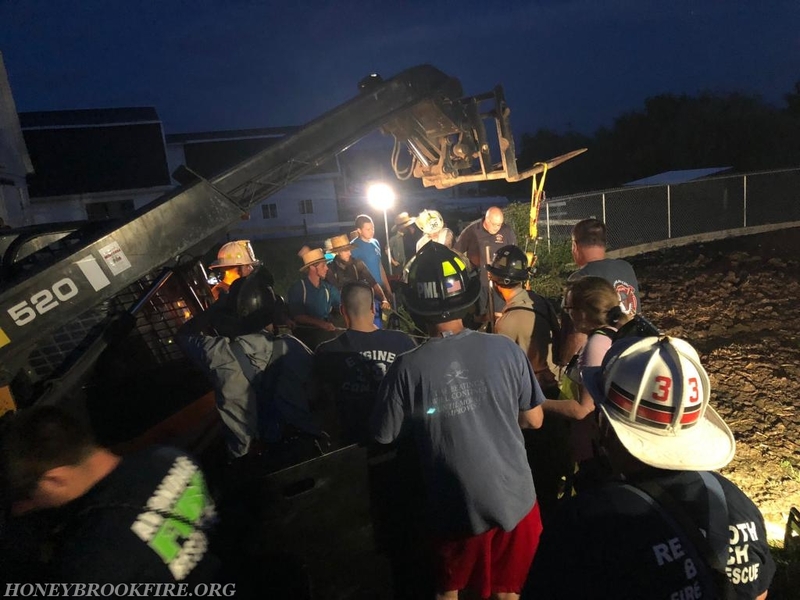 A few minutes after dispatch Rescue 33 made the response with a crew of 6. 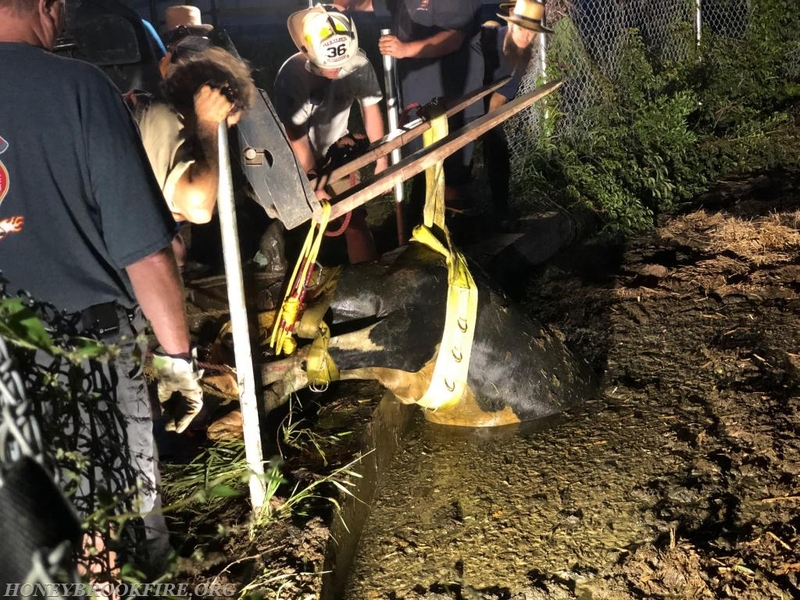 After being notified of the nature of the call Lt 33B (Ream) requested the Chester County Animal Rescue Team (C.A.R.T) be added. 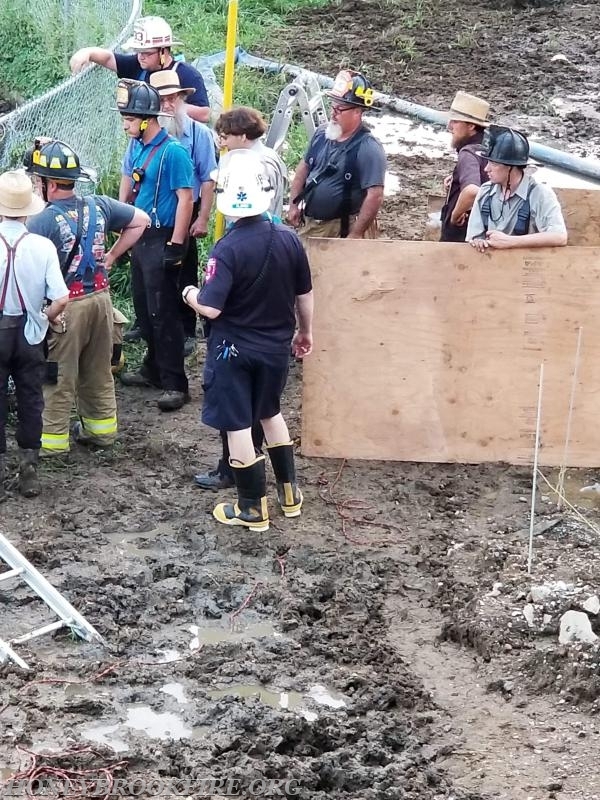 Crews arrived on-scene and confirmed the report of 1 cow stuck in an open air manure pit. 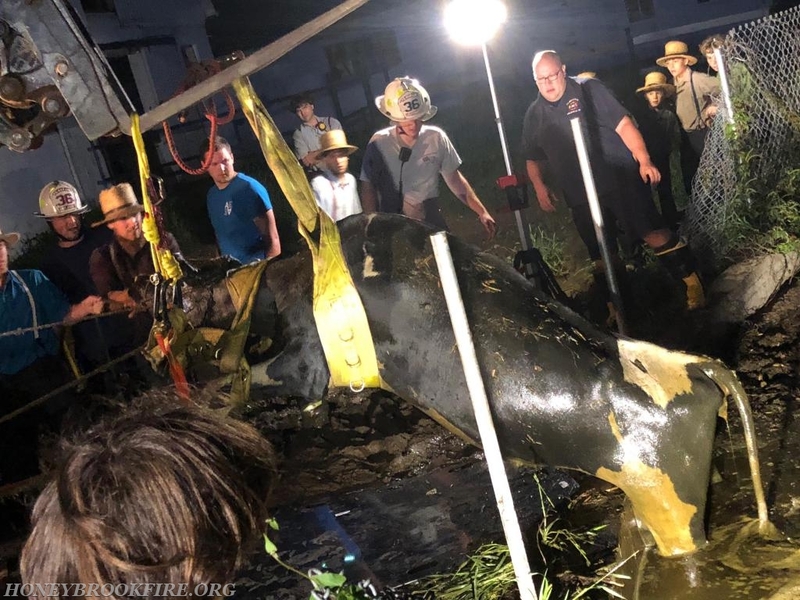 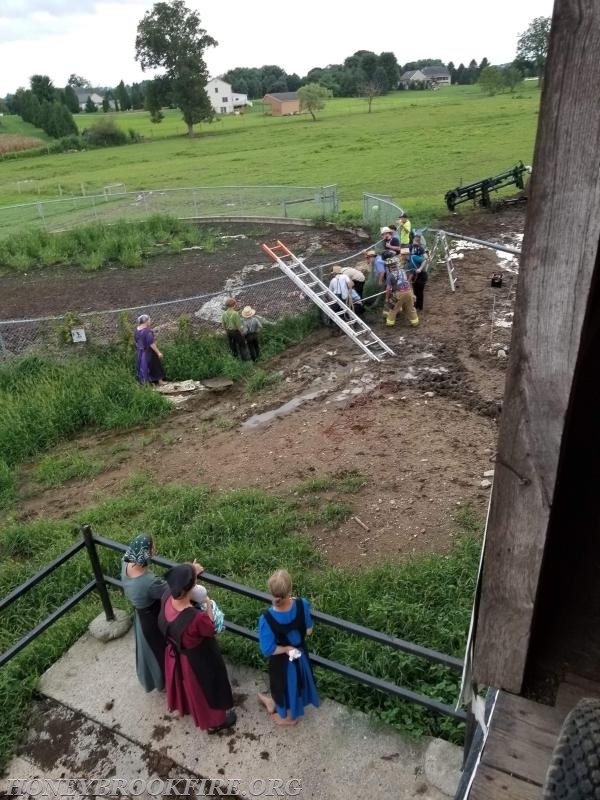 Crews then successfully pulled the cow to the edge of the manure pit and awaited the C.A.R.T., who carry specialized gear for situations like these. 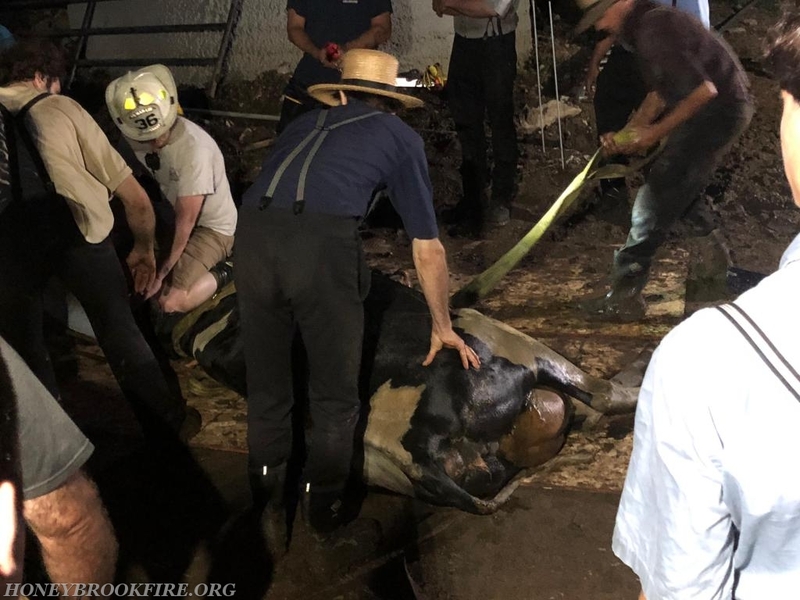 After the C.A.R.T arrived and were briefed on the situation they put into action a plan that utilized lifting straps and a skid loader to hoist the cow out of the pit. 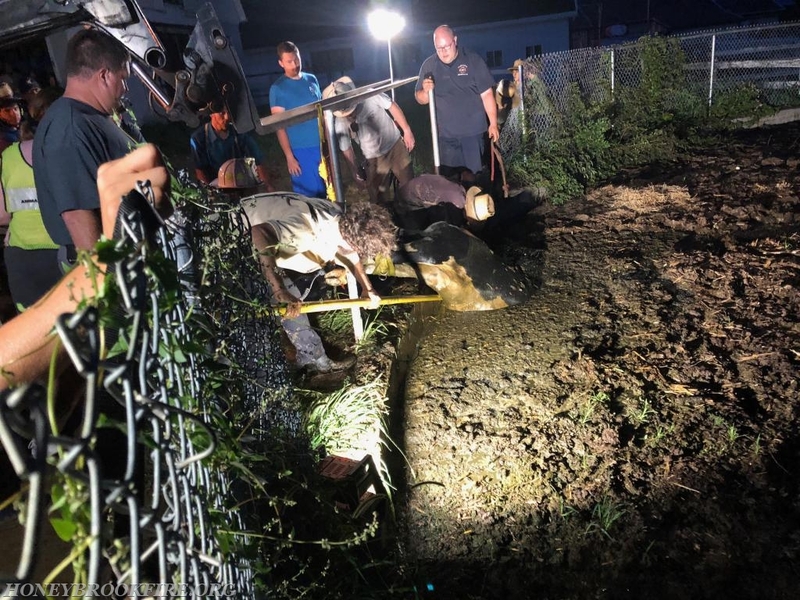 The Cow was successfully hoisted from the pit and returned to a nearby barn. 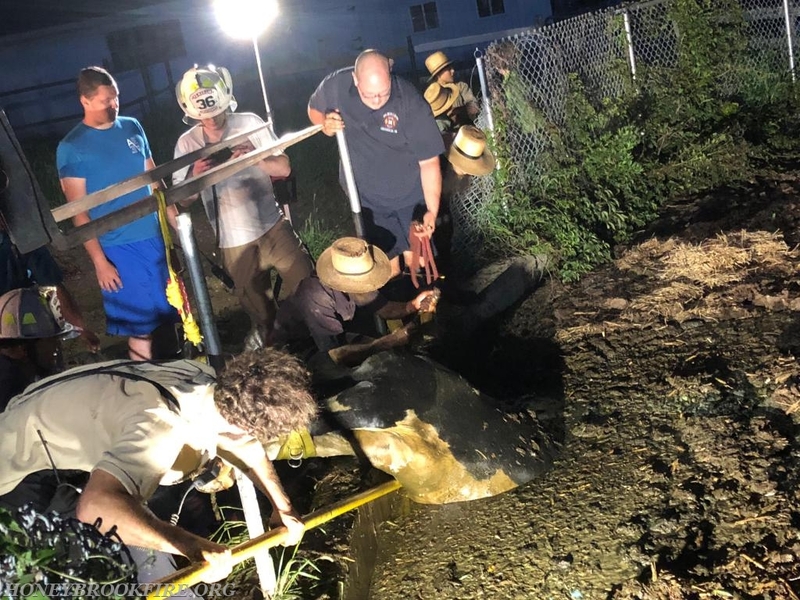 HBFC would like to thank the members of the C.A.R.T, and local community members who made this a successful rescue. 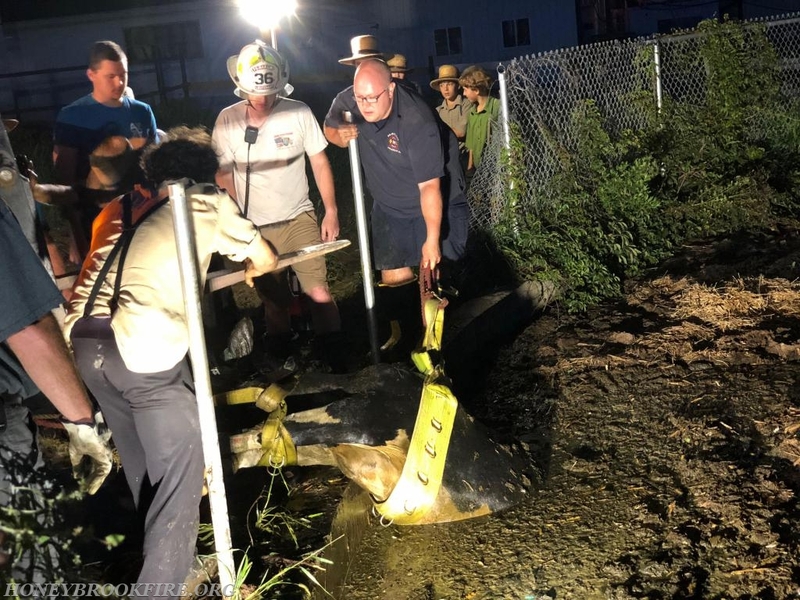 Units: Rescue 33, Engine 33-1. 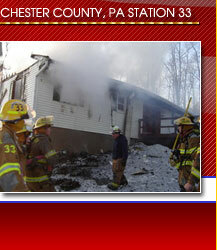 Mutual Aid: Rescue 36, Utility 36, Chester County Animal Rescue Team.